The EU has published the draft deal text - so what does it say? 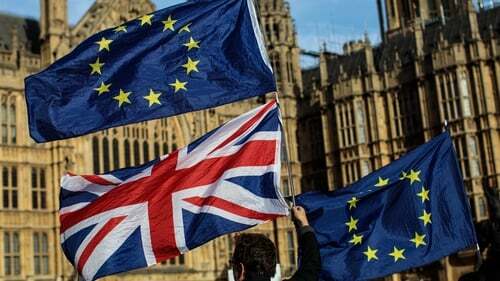 Theresa May has secured the support of her cabinet for the draft withdrawal text, and the European Commission has released the 585-page Brexit deal document. The text says Britain and the EU will access each other's markets based around the principle of equivalence. It says that the unique circumstances on the island of Ireland needs a unique solution. The protocol in relation to the Irish backstop is intended to apply only temporarily, unless and until it is superseded. And the UK and the EU will endeavour to replace the backstop with a subsequent solution, which would also ensure no hard border, by the end of 2020, according to the deal. And the UK commits, in the deal, to avoiding a hard border including any physical infrastructure or related checks and controls in Northern Ireland. The draft withdrawal text also outlines that the UK can request an extension of the transition period, and it may be extended by mutual consent. The UK and the EU want to establish "ambitious customs arrangements" in their future relationship, according to the text. Nothing in the new deal prevents the UK from ensuring unfettered market access for goods moving from Northern Ireland to the rest of the UK. Northern Ireland would be in the same customs territory as Great Britain, says the text, but Northern Ireland would remain aligned to some EU regulations to avoid a hard border. If either party considers that the backstop is no longer necessary, it may notify the other party setting out its reasons. Within six months, a joint committee would meet and then both sides would have to jointly agree to end the backstop. This Protocol is without prejudice to the provisions of the [GFA] regarding the constitutional status of NI and the principle of consent, which provides that any change in that status can only be made with the consent of a majority of its people.